World Science Festival Brisbane | Can We Save Our Precious Reefs in Time? You are here Home Program Listing Can We Save Our Precious Reefs in Time? Can We Save Our Precious Reefs in Time? The world’s reefs are in a dramatic state of decline – over 50% of corals have been lost over the last 30 years due to pollution, destructive fishing practices, ocean warming and ocean acidification resulting from rising concentrations of greenhouse gases in the atmosphere. According to the scientific community the decline is set to continue, and if so, will affect 500 million people globally who rely on coral reefs for food, income, and coastal protection. Have we lost the battle or is there still a chance to preserve and protect these amazing global assets? Revolutionary science might be able to exponentially increase the speed of mapping and analysis to help us understand what is happening to our reefs when and where. Does global approach to one of Australia’s icons mean that we could get to a solution in time? This program is proudly presented in conjunction with the Department of Environment and Heritage Protection. 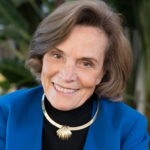 Sylvia Earle National Geographic Society Explorer-in-Residence Earle is an oceanographer, explorer, author and lecturer who has been called a “Living Legend” by the Library of Congress and “Hero for the Planet” by Time magazine. Formerly chief scientist of NOAA, Earle is the founder of Deep Ocean Exploration and Research, Inc., founder of Mission Blue and SEAlliance, and chair of the Advisory Councils of the Harte Research Institute and the Ocean in Google Earth. Earle has led more than a hundred expeditions and logged more than 7,000 hours underwater, including leading the first team of women aquanauts during the Tektite Project in 1970; participating in ten saturation dives, most recently in July 2012; and setting a record for solo diving in 1,000-meter depth. Her research concerns marine ecosystems with special reference to exploration, conservation, and the development and use of new technologies for access and effective operations in the deep sea and other remote environments. Sylvia Earle appears with thanks to the Department of Environment and Heritage Protection. Ruth Gates is a world renowned coral expert who, from her lab in Hawaii, works with the biological mechanisms and traits that dictate the environmental threshold of marine organisms. Specifically, she is concerned with defining attributes in corals that underpin inter- and intra-specific differences in their sensitivity to thermal stress, ocean acidification and pollutants. Ruth Gates appears with thanks to the Department of Environment and Heritage Protection. 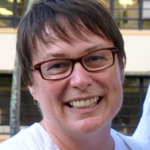 Her work is to examine coral biology at a variety of spatial and temporal scales, and to exploit analytical approaches from the fields of genomics, molecular ecology, developmental genetics, computational biology, cell biology, biochemistry, physiology and ecology. Ove Hoegh-Guldberg is internationally recognised for his work on the impact of climate change on oceans, particularly the Great Barrier Reef. He is University of Queensland’s (UQ) Professor of Marine Studies and Director of the UQ Global Change Institute. Professor Hoegh-Guldberg is a coordinating lead author for the Oceans Chapter in the Intergovernmental Panel on Climate Change (2014); has received the Prince Albert II of Monaco’s Climate Award (2014); and was awarded an Australian Research Council Laureate Fellowship (2012). 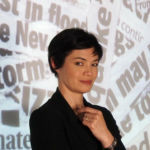 Tanya Ha is an award-winning Australian environmental campaigner, best-selling author and science journalist. She is also a media commentator on science and environmental issues, a behaviour change researcher and was a delegate to the Australia 2020 Summit. Tanya is currently an Associate of Science in Public and of the Melbourne Sustainable Society Institute. She was a reporter for ABC Catalyst and a tour ambassador for National Science Week. She has also served on the boards of Sustainability Victoria and Keep Australia Beautiful (National Association). Terry Hughes is the world’s most highly-cited coral researcher and a tireless advocate for coral reefs. A recurrent theme in his highly-influential studies is the application of new scientific knowledge towards improving management of marine environments in Australia and throughout the tropics. Terry has been awarded the esteemed Darwin Medal from the International Society for Reef Studies, and a prestigious Einstein Professorship from the Chinese Academy of Sciences. He is Director of the world’s largest coral reef research Centre, headquartered at James Cook University in Townsville. 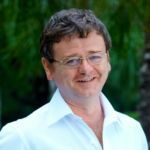 Brendan Mackey is Director of the Climate Change Response Program at Griffith University and is a leading expert in climate change science and policy including the role of forests in the global carbon cycle. Professor Mackey's program is currently undertaking multi-disciplinary research in the Pacific focussed on ecosystem-based adaptation with an emphasis on coastal processes and a ridge-to-reef approach. He is also working with the Secretariat for Pacific Regional Environment Program on a DEFAT funded project aimed at improving climate information management and use. Brendan serves on the global governing council of the International Union for the Conservation of Nature (IUCN) as a regional councilor for Oceania. 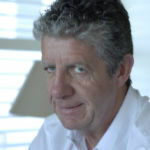 Russell Reichelt joined GBRMPA in 2007 as Chairman and Chief Executive. Dr Reichelt is a board member of the Great Barrier Reef Foundation and the Australian Maritime Safety Authority. He began diving on the Great Barrier Reef in 1968 and worked as a research scientist at the Australian Institute of Marine Science in the 1980s studying the ecology of coral reefs, particularly the crown-of-thorns starfish. 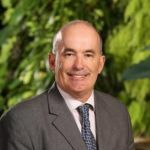 He has a PhD in marine science and has served as CEO of the Australian Institute of Marine Science, Chairman of the Fisheries Research and Development Corporation, and as a member of Australia’s State of the Environment Committee.